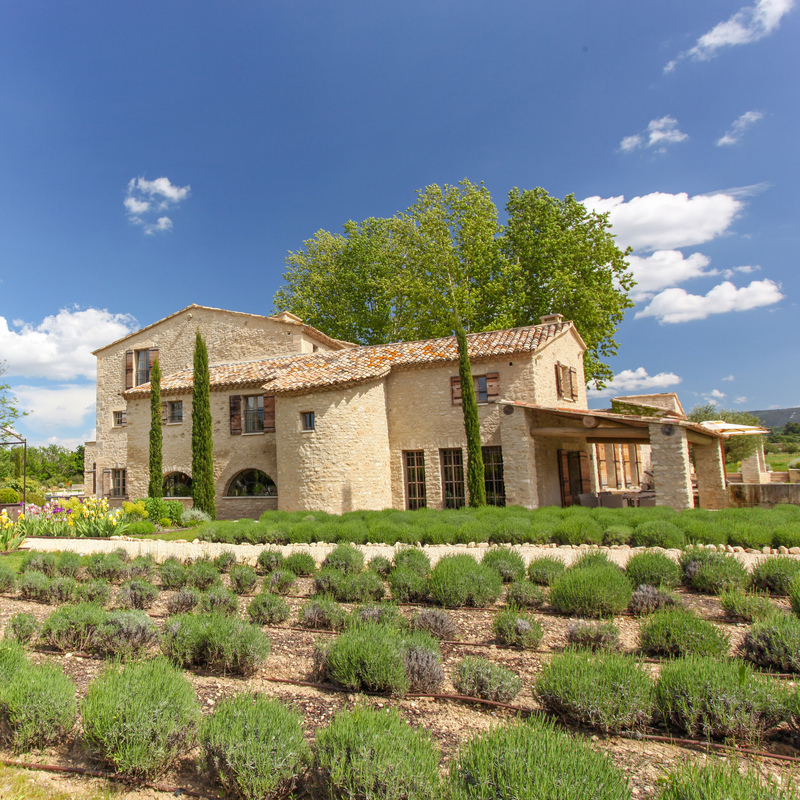 Experience Provence in one of our hosted luxury villa in the Luberon valley and beyond. Discover the french local lifestyle with tailor made programs from our exclusive local concierge. Lavender fields, great food, antique markets and so much more..welcome to our homeland ! 16th century mill turned dining famous institution. This café hasn't changed much since Van Gogh painted its lovely terrace in 1888. Saturday morning. The weekly Saturday market in Apt has taken place since the Middle Ages. It has been ranked as an "outstanding market", and the atmosphere, quality and range of the products sold are superb. From the car park of the train station (Victor Hugo Avenue) at 9 am, 9:30 am, 10am, 10:30 am, 11 am, 11:30am, 12am, 12:30am. - Departure Viton parking (Viton Avenue) at 9:15am, 9:45am, 10:15am, 10:45am, 11:15am, 11:45am, 12:15am ET 12:45am. Sunday, 3 August 2014, the boats are decorated with flowers and filled with local products from Provence, such as wine, olives, fruits and vegetables. They float down the river and come dock along the banks of Isle sur la Sorgue, with the fishermen's family, in local costume, on board. Sunday morning. Sheer bliss to wander the winding streets and the canals in Isle sur la Sorgue! Every Sunday morning from Easter to December. The market in Coustellet proposes a wonderful way to get to know all the local products available in the region. This market is usually open from 8 am to 1pm. These times may vary depending on the weather and season. Every evening starts around 6 pm from April to end of September (Closed on Sunday). Every Tuesday, Wednesday and Saturday as of 4:30 pm the rest of the year. The famous farmers' market in Velleron has become a leading event in Vaucluse and beyond. Provence's most photogenic village. Tuesday's are bustling with the farmer's market. The symbol of the influence of the Church on the Christian West in the 14th century. This monumental residence of the sovereign pontiffs of the 14th century is the largest Gothic palace in the world and presents the visitor with legendary sights, such as the fabulous frescoes by Italian artist Matteo Giovannetti. A prestigious monument and a unique museum in a setting that is entirely pedestrian. Here you can walk in the footsteps of the Romans in this iconic site of 165 hectares, the World Heritage and “Grand Site de France." Classified World Heritage by UNESCO and surrounding the old city, the remparts were created in 1355 under the pontificate of Innocent VI to repel the great campaigns and were completed in 1370 with The Pope Urban V.
Built in the 12th century and rebuilt in the 15th and 17th centuries, Doms Metropolis dominates the city. Its iconic bell tower is topped by a golden Virgin lead. Located inside the Fort Saint -André, it was built in the early 11th century to the tomb of St. Casarie. Partially demolished during the Revolution, the original buildings have disappeared. Nowadays we visit the magnificent terraced gardens overlooking the Rhone Valley which offer a splendid view of Avignon and the Palais des Papes. The region has a specific cultural and linguistic identity since it remained for a long time a theatre of confrontation between the Kings of France, the Kings of Burgundy, the Holy Roman Empire, and the Catalan Dynasty of Barcelona. This rich history has left a somptuous heritage, from churches and bridges to remparts and palaces. Many villages are perched on the heights of the countryside and dominate valleys – Gordes, which has been designated as one of the most beautiful villages of France, is the perfect example. While the rural parts of the region turned to face a depopulation during the 19th and the 20th centuries due to urbanization, tourism is today at the origin of a new expansion especially in the Luberon and the Alpilles. Avignon, Uzes, Aix-en-Provence are the major cities of the Northern part of Provence. Your villa rental in Provence will make for unforgettable holidays. Provence covers the southeast of France, from the left bank of the River Rhône to the Italian border. For many people it is synonymous with sunshine and a laid-back lifestyle. This region by the Mediterranean boasts many attractions including, naturally, the Luberon . This small, relatively low chain of mountains has an indisputable charm which attracts numerous visitors every year looking to rent a holiday villa in Provence. Provence is so famous on the world stage in part at least because of its stunningly beautiful villages. Who can resist the appeal of the Luberon, Gordes, Ménerbes and Roussillon. By renting a country or town house in Provence, you’ll be able to have a relaxing holiday and immerse yourself in the local Provençal culture. Each French region has its own style of architecture and Provence is no different. The ‘mas provençal’ refers to a farmhouse. Many of these houses have been renovated and have become genuine luxury villas often featuring a swimming pool so you can cool off in the heat of the Summertime. The ‘bastide provençale’ is a kind of manor house or country home. Our selection of properties includes many rentals in Provence – for example, you could find a Luberon rental such as a villa with a pool housing up to 32 people or opt for a luxury villa for 12 people in the Baux de Provence. Would you like to have the chance to enjoy all the activities offered by the old Capital of Provence and discover its rich heritage whilst staying in a peaceful natural setting? We havemany luxury villa rentals available during the holidays for you to rent out in Provence. The Ligures and Celts were the first civilizations to populate Provence between the 10th and the 4th century BC. Then the tribes formed confederations and traded together and with other populations like the Etruscans. In the 1st century BC, the Greeks from Rhodes settled in the Southern part of the region and gave its name to the main river the Rhône. From the 2nd century BC the Romans defeated the local tribes and started to establish permanent settlements like that of Aquae Sextiae, today known as Aix-en-Provence. The region then knew a considerable expansion during the Roman era – the Romans built roads, bridges, aqueducts, baths, theatres, arenas, monuments, and influenced Provence culturally and politically. Orange, Arles, Frejus, Vaison-la-Romaine are some of the towns built by the Romans. In the 3rd century, Germanic tribes invaded Provence and by the end of the 5th century the Roman power had collapsed. In the meantime, Christianity spread and churches were built. Between the 5th and the 9th century, the region was invaded by the Visigoths, the Ostrogoths, the Burgundians, the Franks, the Arabs, and the Berbers. Between the 9th and the 13th century, an independent state of Provence was created and ruled by different dynasties of Counts – the Catalans of Barcelona, the Kings of Burgundy, the Germans of the Holy Roman Empire, and the Kings of France. The Saracens and the Normans also invaded the region. The architectural Gothic and Romanesque styles are part of the heritage left from that period. In the 14th century, Provence was ruled by the Popes who moved the Roman Catholic Papacy to Avignon before the schism between the Roman and Avignon Popes. The Palais des Papes is today’s largest gothic palace in Europe. However, difficult times began – the Black Plague killed thousands of people and the French Army lost the Hundred Years’ War against England, which forced the people in the area to build walls and towers to defend against the former soldiers ravaging the countryside. In the 15th century, Good King René of Provence turned to rule the region after being driven off Naples by Alphonse of Aragon. He died in 1480 and passed the title to his nephew who died one year later. The throne was offered to Louis XI of France in 1481 and was incorporated to the French Kingdom in 1486. From that year to the 16th century, Provence was involved in the Wars of Religion between the Jews, the orthodox Catholics, and the Protestants. Then until the Revolution in 1789, craft industries and trade developed in the region – Grasse, Orange, Avignon, Tarascon, Aix, Marseille flourished. After the violent and bloody Revolution, followed by The Terror, families of the old Regime were restored their power in Provence by Napoleon I, which made the region hostile to him. After his fall, it started a period of prosperity with trade and industry. In the 20th century, the differences between rural areas and the big cities widened. While it remained an unoccupied part of France after the Nazi invasion, Provence became a major place of the resistance. After the war, its Southern parts faced a huge need for reconstruction while the rural parts remained spared by damages. The Avignon Festival of theatre and the Cannes Film Festival in 1947 were the first to start a new period of expansion and mass tourism, especially on the Azur Coast. Today, rural parts of Provence continue to expand due to tourism. The rich history of Provence has in fact made the region an outstanding place. More than a century of locomotion comes together for this festival each year. All forms of locomotion are present, including cars, planes, boats, motorcycles, commercial vehicles and tractors, military vehicles, recreational craft, hot rods, dragsters and competition vehicles. Avignon Motor Festival grows in size each year, with the total exhibition area including 380 exhibitors and 40,000 visitors. Founded in 1947 by Jean Vilar, the Avignon Festival is one of the oldest and most famous festivals of theatre and performing arts in the world. It is on for three weeks in July with the best contemporary creations. The Avignon Festival is a crossroads and confrontation with artists and the aesthetic universe. There are over 40 shows in twenty places ranging from small, intimate chapels, to the mythical court of the Palais des Papes. The Off is an art and cultural event of international stature with over 1,250 performances. Unlike the classic Avignon Festival, it features independent performance companies and does not necessary highlight the arts. Nearly 8,000 people from all over France and over 20 foreign countries perform in 125 different venues. These companies make the city an immense confrontation scene representing all disciplines of the performing arts : theater, reading, circus, dance, music, street theater and much more. Held in July and August, this contemporary art festival is held through the Alpilles – Saint-Remy-de-Provence, Les-Baux-de-Provence, Tarascon, etc. It revolves around nature and involves more than 50 artists in 25 locations. The beautiful landscapes of the Alpilles are ideal to highlight contemporary art, which is perfectly done with this amazing art festival. The festival of Aix-en-Provence taking place in July is a musical event which includes opera, symphony concerts, youth orchestras and recitals. It began in 1948 and in 1998 the complete renovation of the Théâtre de l’Archevêché occurred, making the venue incredible. Today, it features theatre, dance and opera, which makes for a true musical creation. While the chateaux of the Luberon may not have boast the opulence of those of the Loire, their mighty defensive positions in the rocky southern landscape make for interesting visits, especially for fans of the Middle Ages. Combining history and wine production, the Chateau de Lourmarin is a great place to tour during the heat of midday, with its restored rooms and thick walls to keep cool. The Chateau often hosts events like concert evenings and performances, so it is recommended to check their online events page. As you leave this treasure of the Luberon, be sure to stop in to visit the Caves du Chateau, set in the 12th century cellar and offering daily wine tastings and a great selection of bottles for purchase. The friendly staff is ready to advise you, and you might find yourself staying to chat in this unique venue. It doesn’t get more Provence than a truffle hunt. The welcoming and organized hosts at Les Pastras ensure a delightful and educational experience during their popular truffle tour. Set in the forest of the Luberon, this organic farm also boasts excellent olive oils and honey. It’s basically the quintessential Luberon experience- a fabulous excursion for couples and families alike. Children will especially love the adorable truffle-hunting dogs. And adults will appreciate the generous truffle samples- accompanied with champagne bien sur. Let our Luberon concierge at Eden Luxury Homes organize this one-of-a-kind truffle experience, as reservations are mandatory. Each year the Avignon Theatre Festival gets bigger and bigger, now even boasting an array of ‘Off-Festival’ productions. Avignon has much to offer in terms of restaurants, historical visits, and culture. Visits during the festival should be organized with advanced purchase of tickets and restaurant reservations, as the crowds can be overwhelming. The best time of day to visit is during sunset when the temperatures cool off and the soft southern sun sets on the Palais des Papes and surrounding gardens. We are here to help you with ticket purchase and reservations. Let our concierge arrange all of your festival requirements. What better way to spend an afternoon that enjoying the scenic surroundings of this family-run 18 hole golf course near the Luberon village of Manosque? Known for its challenging greens and hilly fairways, be sure to opt for a golf cart unless you are looking to burn some serious calories. The club’s restaurant, La Gardette, has a fine reputation of its own and is a popular lunch spot for golfers and foodies alike. The local outdoor markets in the villages of the Luberon are not to be missed. As locals hustle to buy fresh produce and prepared meals, francophiles scan the provençal wares and fabrics, vintage trinkets, and snap photos of the picture perfect herbs and delicacies of the region. The largest market is on Saturdays in Apt, where over 300 stalls set up from early morning. Other villages stagger their market days, so on any given day you can find one open in Gordes, Menerbes, Bonnieux, Oppède and Cavaillon. The best is to combine market exploration with a long lunch in one of the villages. It’s a great place to pick up souvenirs of the region and try out some local delicacies. This village is the capital of Provencal antiquing and flea markets. Every Sunday, non-stop throughout the year, over 350 antique dealers set up shop along this pittoresque town and sell their array of treasures. The scene draws locals and international buyers alike, and is a favorite stop for Parisians passing through the south. Whether you are looking for Empire era chairs or mid-century Ricard pitchers, you will find it in L’Isle sur la Sorgue. Keep in mind that prices here are more reasonable that what you will find in Parisian flea markets, although a little negotiation is customary. The village of L’Isle Sur La Sorgue itself is worth the visit, with its lazy river and adorable café lined streets. It is one of the few Luberon villages with a real artistic and bohemian vibe, and even non-market days make for some interesting boutique shopping. Palace of the Popes is the symbol of the influence of the Church on the Christian West in the 14th century. Built from 1335 , in less than 20 years, it shows the leadership of its 2 builder popes, Benedict XII and his successor Clement VI. The monumental residence of the sovereign pontiffs of the 14th century is the largest Gothic palace in the world (15,000 m2 of floors in 4 Gothic cathedrals) , and presents the visitor with legendary sights, such as the fabulous frescoes by Italian artist Matteo Giovannetti. A prestigious monument, a unique museum and a unique natural setting that is entirely pedestrian – come walk in the footsteps of the Romans in this iconic site of 165 hectares, the World Heritage and “Grand Site de France.” To understand the historical and natural heritage, visit the area – An interpretive museum, a giant-screen cinema and a playground area for children are all features of the area. Claiming a spectacular rocky position among the Alpilles mountain range, this historic set of castle ruins is a main regional attraction and the underlying village is considered one of the most beautiful in France. During the summer the site offers daily catapult demonstrations, educational tours, and lovely hikes along the ruins. It’s a great stop for history buffs and families, but best enjoyed early or late in the day to avoid the tourist crush. Let your concierge at Eden Luxury Homes reserve a table at the nearby Oustau de Baumanière for a 2-starred Michelin dining experience in a lovely farmhouse setting. Don’t pass through the perched village of Gordes without visiting Sénanque Abbey. Founded by Cistercian monks in 1148, this hidden gem of the Vaucluse region has remained largely untouched and is surrounded by breathtaking lavendar fields (catch them in their glory throughout July). You can still stop in for mass or vespers, or take a tour on your own or with the welcoming abbey staff. The Abbey is still home to dozens of monks who produce some of the best lavender honey in the Luberon. Appreciate the natural beauty of the region from a different perspective- by bike. It might sound crazy, but this is a fabulous way to visit the many villages of the Luberon. We recommend opting for the leisurely tour- on an electrically assisted bike. Enjoy lunch in Bonnieux before leaving for a round trip guided bike tour that will take you through the villages of Lacoste, Menerbes, Oppède- around 38 kilometres. Don’t worry, it goes by rather effortlessly even for the cardio-challenged, and you’ll be back in time for an early happy hour over a much deserved pastis or rosé. Your concierge at Eden Luxury Homes will be pleased to reserve lunch in one of our recommended restaurants in Bonnieux, and reserve your place on this special battery-assisted bike tour. Avis aux amateurs d’histoire et aux fans du moyen-âge, ce majestueux château du 11eme siècle perché au cœur du Luberon et surplombant Ansouis vous comblera. Amoureusement restaurée par ses propriétaires actuels, il accueille deux visites guidées en français par jour. Si il y a une barrière de la langue elle ne semble pas dissuader la plus part des touristes, vous vous en ferez une idée rapidement. L’endroit est magnifique et de plus la passion pour la restauration est palpable. Ansouis est également un bijou du Luberon. Gardez un peu de votre temps pour une promenade suivi d’une séance photo improvisée. Laissez votre concierge Eden Luxury Homes organiser un tour guidé au Château d’Ansouis car les dates et les heures sont susceptibles de changer. Nous pouvons également organiser un tour privé en Anglais. Iconic establishment of the Provence nights, the Bokao’s has been shaking the region with its chic and trendy parties and has established itself as a reference in the world of the night. The oldest gourmet restaurant in Avignon awaits you. Since 1938, the institution of French cuisine continues to evolve over time, between tradition and new flavours. The restaurant is in a grand and historic monument next to the Palais des Papes. Inside, you will be surprised by the rooms, one of them features a unique fresco of the Brittany flag. Even if antiques are not your passion, L’Isle-Sur-La-Sorgue is one of those postcard Provence villages well worth a day’s exploration. Michelin starred Restaurant Le Vivier is set along the winding scenic river that cruises through town, and offers up a delicious menu of finely presented, locally sourced dishes, and outdoor dining. The welcoming staff and attentive owners will ensure a lovely lunch or romantic evening. This family run outpost near Bonnieux popped up on the trendy radar during summer of 2015 after a collaboration with Silencio, the David Lynch-designed Parisian nightclub. Hosting numerous summer concerts, performances, yoga classes, and film screenings, it was the place to be, and the place to enjoy expertly mixed cocktails. The restaurant makes for a lovely meal in natural Luberon splendor, with local products incorporated into inventive cuisine by Armand Arnal of La Chassagnette in Arles. Your concierge at Eden Luxury Homes can assist in reserving your space for any of the cultural events at the Maison de L’Aiguebrun. You’ll love venture into this geological curiosity. Its multiple natural colors contribute to make Roussillon one of the most renowned sites in the Luberon. You can walk among these authentic rocks by following the panels explaining the formation and operation of these famous ochre quarries. You can choose between different itineraries: thirty or sixty minutes, by walk or by bike. The colour, the texture, and the scent of a lavender field encapsulate for many the essence of Provence. In Les Agnels the lavender is collected and distilled in the traditional way to produce essential oils. Later this process is conceived fragrance, perfumed soaps, beauty creams and tonics. The better part is to appreciate the final result. The pictures are projected massively across the rough-hewn walls inside this former quarry and are accompanied by suitable music. The subject regularly changes that could be “les geants de la renaissance” with Leonardo de Vinci, Michel-Ange and Raphael next goes to “voyages en mediteranee” with Monet, Renoir and Chagal then finally to “un siecle d’or et de couleur” with Klimt and Vienne. Just walk and appreciate this quite unique experience.